We have covered E-Reign several times throughout 2016. 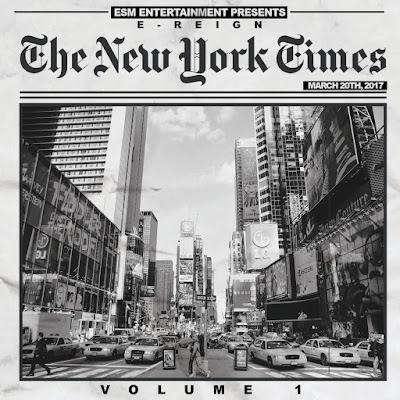 During that time E-Reign released his "Future of New York" mixtape series along with several singles, and a handful of videos. In the past year and a half E-Reign has increased his buzz 10 fold. He did this by staying consistent, releasing quality music, being active in the streets, and impacting the net. E-Reign has well over 100K streams of "Future of New York" mixtape series, not to mention countless views on his videos, and singles. If you missed out you can stream and download all of E-Reign's mixtapes below. Stream & download E-Reign - Future of New York mixtape series Vol. 1, Vol 2, and Vol 3.